We have been called one of the greatest kept secrets in Orlando and frankly, we are still not sure why. We have been operating in Orlando for over 30 years. Many know us from our year-round Christmas rooms and others from our expansive floral and silk wholesale inventories which are consistently busy with wholesale corporate clients throughout the region. A number of the floral arrangements used in some of the largest weddings in Central Florida are assembled right under our roof by our staff of professionals. Elegant homes and offices are decorated with furnishings that come right from our showroom floors. And each and every holiday, we have one of the most expansive inventories available that is popular for both commercial and residential clients. 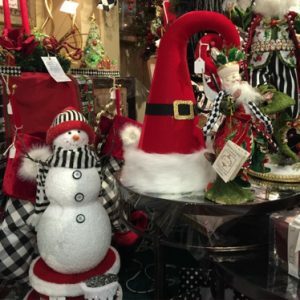 Furnishings; Brighton Jewelry, Leather, Shoes, Suitcases and more; Chamilia Jewelry; Bedding, Candles, Wedding Supplies, Outdoor Fountains, Clay Pottery, Wicker, University of Florida Gift Department, Artificial Trees, Custom Throw and Elegant Rugs and so much more! Even many of Oprah’s ‘Favorite Things’ have been a staple in our stores for years as we just keep doing what we do each day …! The bottom-line is that we hope you might stop by and see for yourself. Come by for a cup of coffee and take some time to browse through our showrooms. You might plan on staying a while … we have a lot of space to cover.